Dear artists and all great fans! 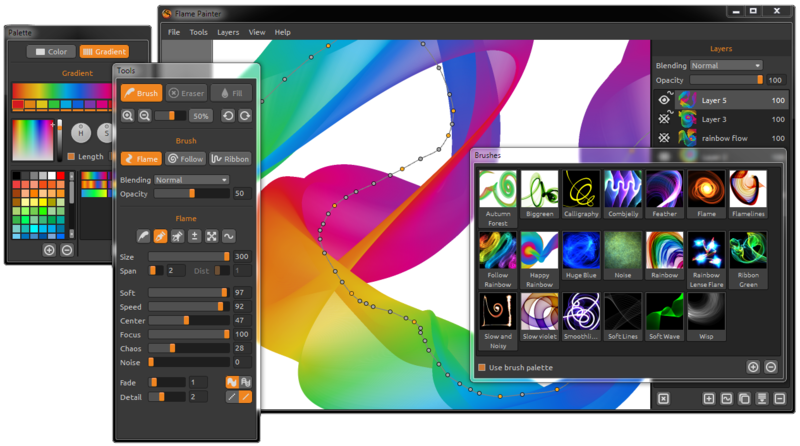 We are very excited to announce that after a year of preparation and development we are launching the brand new Flame Painter version 2.0 for Windows and Mac OS on May 21st! We are so happy about it, that we could not wait longer to unveil its new fantastic features. We hope you will enjoy it, as much as we do. One of the things we love about creating Flame Painter is that all, artists and enthusiasts, give us such positive feedback. This continuously motivates us, to strive forward and give the best we can for our users. We have listened to and implement as many of your suggestions as possible in order to make Flame Painter the best tool for your art and your creativity. As an artist myself, I know when I want to focus on art and don’t want to be distracted with different stuff around it. Sometimes I need all windows in one screen, but other times I prefer to use all the space for painting and leaving the toolboxes out of my view. So I have decided to completely redesign the interface and throw away the old one. We redesigned it many times, and finally created; a new compact but very flexible interface, using a new backbone system with widgets. The interface is now more intuitive, customizable and allows more focus on the creative process. The design compared to first version is very different. 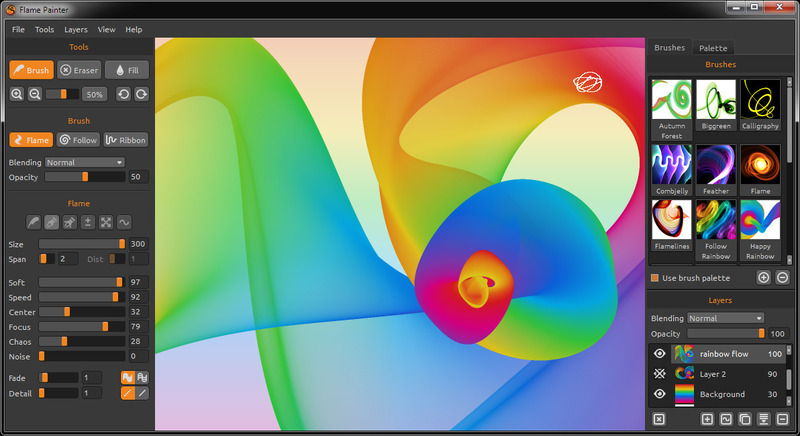 The interface is created from toolboxes, which you can snap to main canvas screen, or undock them and move to a second monitor so your primary screen will be free for painting. We really love this and hope you will enjoy it as well!